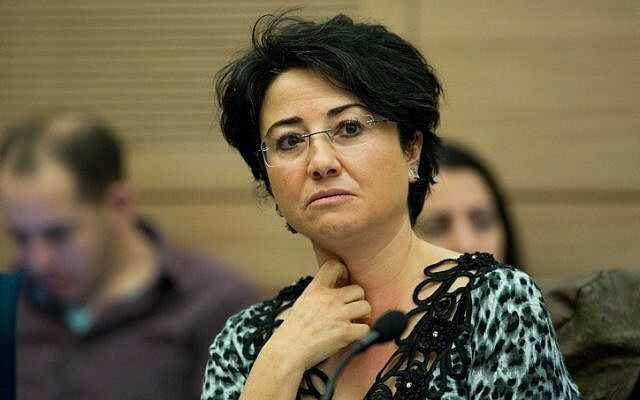 Hanin Zoabi of the Joint (Arab) List said the Palestinian march in Gaza was “a peaceful act of struggle,” stressing that “popular resistance is the only way that the Palestinians can free themselves” from Israeli occupation. Zoabi warned that “now Israel is transforming from a racist situation to a fascist situation,” adding that a political change in the country won’t change this transformation. 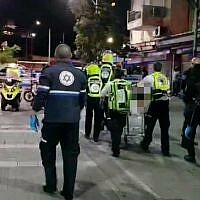 The controversial MK has in the past called Israeli soldiers murderers, compared Israel to Nazi Germany, met with relatives of terrorists, called for the prosecution of policemen who killed an armed terrorist, and insisted that the kidnapping and murder of three Israeli teens in the West Bank was not terrorism. Friday’s violent demonstration was the second of what Gaza’s ruling Hamas terror group said would be several weeks of “March of Return” protests which Hamas leaders say ultimately aim to see the removal of the border and the liberation of Palestine. 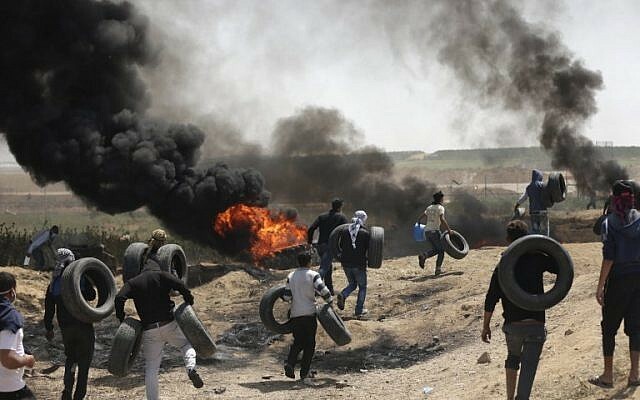 Tens of thousands of Palestinians gathered along the Gaza border, burning tires and throwing firebombs and rocks at Israeli soldiers, who responded with tear gas and live fire, the army and witnesses said. Hamas said seven Gazans were killed by Israeli fire. The IDF said it thwarted multiple efforts to breach the border fence — and that it used live fire to do so in some instances — as well as attempts to activate bombs against the troops under the cover of smoke. Israel has accused Hamas of trying to carry out border attacks under the cover of large protests and said it will prevent a breach of the fence at all costs. An Islamist terror group, Hamas violently took control of Gaza from Mahmoud Abbas’s Fatah in 2007, two years after Israel withdrew its military and civilian presence from the Strip. Israel and Egypt maintain a security blockade of Gaza. Israel says this is vital to prevent Hamas — which has fought three rounds of conflict against Israel since seizing Gaza, firing thousands of rockets into Israel and digging dozens of attack tunnels under the border — from importing weaponry.